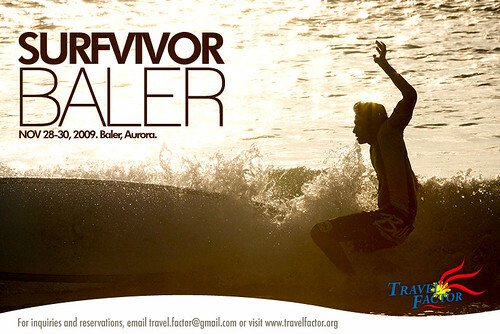 Travel Factor’s 3 Days Surfing Adventure for beginners in Baler. Highly recommended to all SURFERS (zero to any skill level), PHOTOGRAPHERS, and BEACH BUMMERS. SURFVIVOR SERIES is open also to all who just want to hang out with us and explore the beauty of the Philippines. For those who will be bringing their boards or not surfing, kindly send email to travel.factor@gmail.com for re-quotation.